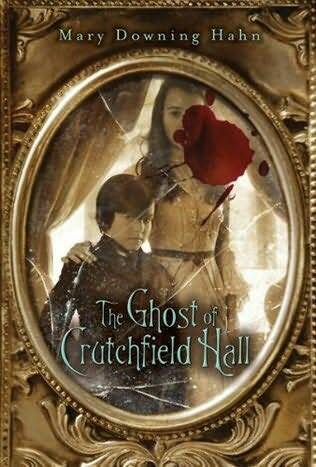 July’s Children's Book Club selection was The Ghost of Crutchfield Hall by Mary Downing Hahn. This ghost story, set in early 1800’s England, borrows quite heavily from the gothic novels popular in that time period. And it’s a good thing that it does. The atmospheric setting, suspense, and language all add up to an enjoyable read. When twelve year old orphan Florence Crutchfield is summoned to her unknown uncle’s estate in rural England, Florence thinks that her fortunes have definitely changed for the better. She will soon gain a loving great aunt, uncle, and cousin. But upon her arrival at the sprawling house, Florence is met with hostility by her aunt and realizes that she is a relatively unwelcome intrusion in her newfound family’s lives. When Florence starts to hear voices and sense things that aren’t what they seem, she has to use her wits in order to survive the Ghost of Crutchfield Hall. This month's Book Club pick was generally well-received. One of the members thought that the story was a little too scary. However, most members felt that the story had a good balance of suspense and story. One member felt that the tale ended too abruptly and left the story a little too much up in the air; was this a cliffhanger for a sequel? It was agreed that most members would read the next installment of Florence’s adventures at the haunted mansion. August’s Children's Book Club selection is The Mostly True Adventures of Homer P. Figg by W. Rodman Philbrick. I look forward to seeing you all there!